Scout knew there was some good stuff in the NomNomNow bags and he was ready for me to open a bag and let him try his new fresh dog food! NomNomNow, is a Bay Area-based fresh cat food and fresh dog food delivery service. They have a growing customer base nationwide, and they just opened up a facility right here in Nashville, so doing a NomNomNow review was a no brainer! NomNomNow takes pride in being a super convenient and easy-to-use cat and dog food delivery service. 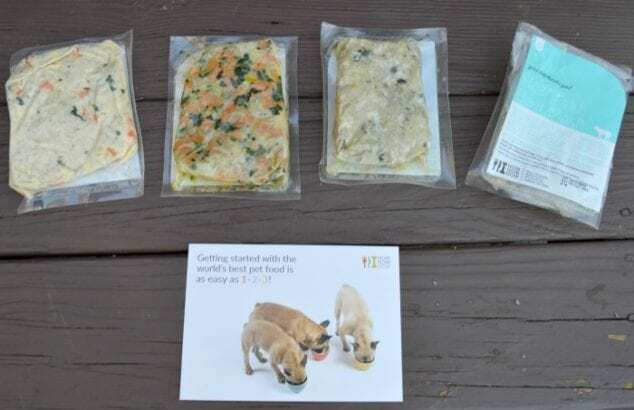 They provide fresh, personalized, and pre-portioned meals for pets based on their caloric needs, activity level, and age. 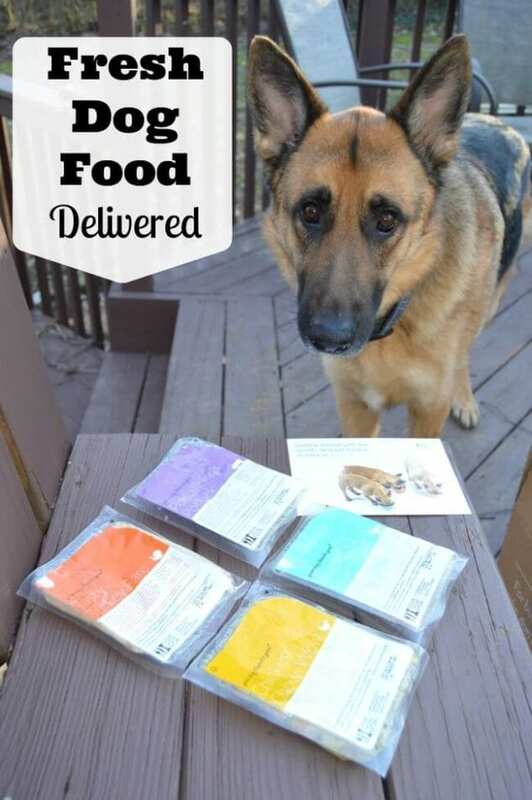 It just doesn’t get any easier than having freshly made meals delivered just for you pet right to your door! Plus, you will love automatic reorder and free shipping. Ingredients you can see for fresh dog food you can trust. Nom Nom Now dog food is a totally fresh dog food made with only the best ingredients and Scout notices these things. I am not kidding. Scout really does inspect his food before he eats it. My last German Shepherd came from the pound and anything you threw at him, he caught and ate before it landed. We got Scout as a puppy and he takes his time and gives it a good looking over before he puts just anything in his mouth! Fresh dog food that is formulated by a veterinarian, is important to me because I believe that the healthier we eat, the healthy we are and the longer we live and with a better quality of life. I believe that is true for people and for pets. Investing in premium dog food is about a healthier future for your dog. 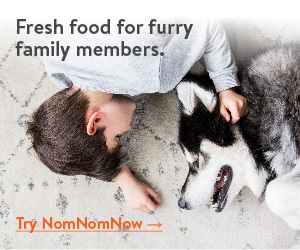 Of course, NomNomNow offers the immediate gratification of your pet being super happy at meal time. Scout gets excited when I pull out a bag of NomNomNow and it is so funny how his eyes get all big as he paces around and licks his chops. But it is really the healthy choice that excites me. Customers report that they see results in their pets like smaller stools, more energy, and a shinier coat. I am excited to see if it helps reduce Scout’s allergies over time. Did you know that dog food allergies and sensitivities can cause symptoms like itching and ear infections in your pet? I never knew that until I owned Scout and began to do some research on what causes his itching. 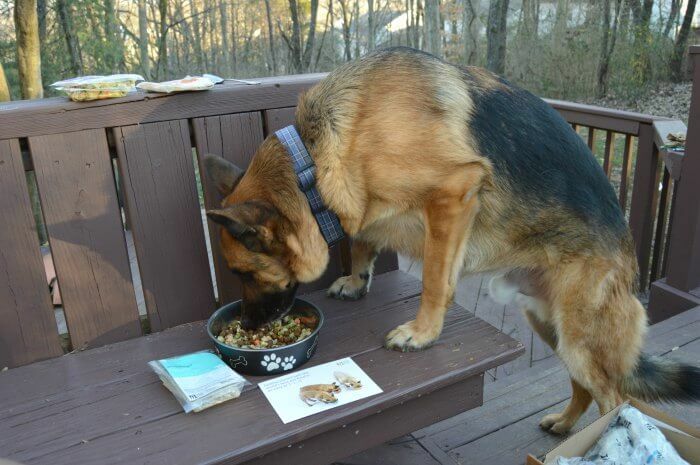 Nom Nom Now dog food is gently cooked and not raw so it is easy and safe to handle and give your pet. Perfectly portioned with no measuring and no cooking, NomNomNow fresh dog food is ready to serve with no prep so pet meal time is super easy. I put the bowl of NomNomNow up on the bench so I could take a photo but Scout wasn’t waiting on me. He jumped right up and helped himself! Scout loves his Nom Nom Now Dog Food. All of the varieties he had tried (Heartland Beef Mash, Chicken Chow Wow, Tasty Turkey Fare, and Porkalicious Potluck) have have a welcomed reception. NomNomNow offers free shipping on orders of $30 or more and on autoship memberships. Just use this link to get 20% off your first order! If you are looking for premium pet food for the health and wellness of your pets, NomNomNow is the smart choice. I love the appeal of natural, healthy, fresh pet food and the convenience of delivery with pre-portioned servings that NomNowNow offers. Are you a discerning pet parent who is concerned about quality food for your pet?